Put simply, we believe the Bible. We believe that it tells the amazing story of God’s pursuit of a relationship with us through his son, Jesus and that through him alone, we find salvation. But don’t just take our word for it. Explore the Bible. Study it. We’d love to talk with you about what you learn because it is a continual journey for each of us in our Christian walk. We believe the Gospel really is good news. Jesus is inviting everyday people, just like you, to change the world. We also believe in the importance of racial reconciliation and in loving and seeing our neighbors as Jesus does. We are not a church for the under 40… or the over 40. We believe that each generation has its place in the family and in the importance of extending the grace of Jesus across generational barriers. As you can imagine, we have people ask us about some of our core beliefs regarding specific items. We are happy to provide those here, but we would rather you come to your own understanding through studying the Bible yourself. If you have any questions whatsoever, we would love to talk with you about your own journey and invite you to contact an elder or minister. We believe God is the Creator and Ruler of the universe. His nature is holiness and love. He is the Father of our Lord Jesus Christ. He is all-powerful, all-knowing and everywhere. In Him we live and move and have our being. God eternally exists in three persons: the Father, the Son, and the Holy Spirit. These three are co-equals and are one God. Some suggested passages of study about the holiness of God: 2 Corinthians 13:14; Genesis 1:1, 26, 27; 3:22; Psalm 90:2; Matthew 28:19; John 14:6-7; Ephesians 4:6; Hebrews 1:8; 1 Peter 1:2; Deuteronomy 6:4. We believe Jesus Christ is the Son of God, and he lived a sinless human life and offered himself as the perfect sacrifice for the sins of all people by dying on the cross. He was raised from the dead after three days and won the battle over sin and death. He ascended to Heaven’s glory and will return again to judge the world and bring all God’s people to heaven forever. He is our example to follow and imitate. Recommended passages to read are: 1 Timothy 6:14-15; Matthew 1:22-23; Isaiah 9:6; 1 Corinthians 15:3-4; Acts 1:9-11; Romans 1:3-4; John 1:1-5; 14:6-30; Titus 2:13; Hebrews 4:14-15. The Holy Spirit is an equal part of the trinity (with the Father and the Son of God) and is God’s power for creation and transformation. He is present in the world to make men aware of their need for Jesus Christ. The Holy Spirit leads us. The Spirit also lives in every Christian from the moment of salvation. He helps us pray. He provides the Christian with power for living, understanding of spiritual truth, and guidance in doing what is right. Since his work is to create in us the character of God, we as Christians try to surrender to the Spirit’s control every day. We suggest you study John 14:16-17; 16:7-13; Acts 2:38; Romans 8:1-16; 2 Corinthians 3:16-18; Genesis 1:2; Galatians 5:22-25; 2 Peter 1:21. People are amazing because we are made in the image of God, designed to be like him in character. Every person has tremendous potential for good, and is created with a divine purpose. Unfortunately, all of us have a tendency for disobedience toward God called “sin.” This separates people from God and causes many problems in life. The Bible is filled with guidance on how to live life – we suggest you start with these passages: Genesis 1:27; Isaiah 53:6a; 59:1-2; Romans 3:23; Luke 18:19; Psalm 8:3-6; 2 Corinthians 3:16-18. God wants you. He wants to be part of your life, and he wants you with him forever. The amazing story of the Bible is one of God rescuing mankind from a fate worse than death. In short, it is God’s desire that everyone on earth accept his gift of salvation. Self-improvement or just doing good things can never cover or erase our sins – which is why Jesus came to earth. Only through obedient trust of what Jesus has done on the cross can forgiveness be obtained. Jesus Christ is the one and only hope for salvation and life after death. Read these passages: Acts 2:38; Ezekiel 33:11; Romans 6:3-4; Galatians 3:23-27; John 1:12; 14:8; Ephesians 2:8-9; Titus 3:5; 2 Peter 3:9. The Church belongs to the Lord. It is his body and every Christian is a member of that body. It is not defined racially, socially, geographically, ethnically, or denominationally. There is only Christ’s body, and he alone adds those he saves to that body. The purpose of the Church is glorifying God through worship, serving others, providing a community of believers and seeking others who are lost in life. Read: Matthew 16:18; Romans 16:16; Ephesians 1:22-23; 4:4-6; 5:22-30; Acts 2:46-47; 20:28; Galatians 3:28. Baptism into Christ is faith responding to the Good News of Jesus and is repeatedly commanded in the New Testament. 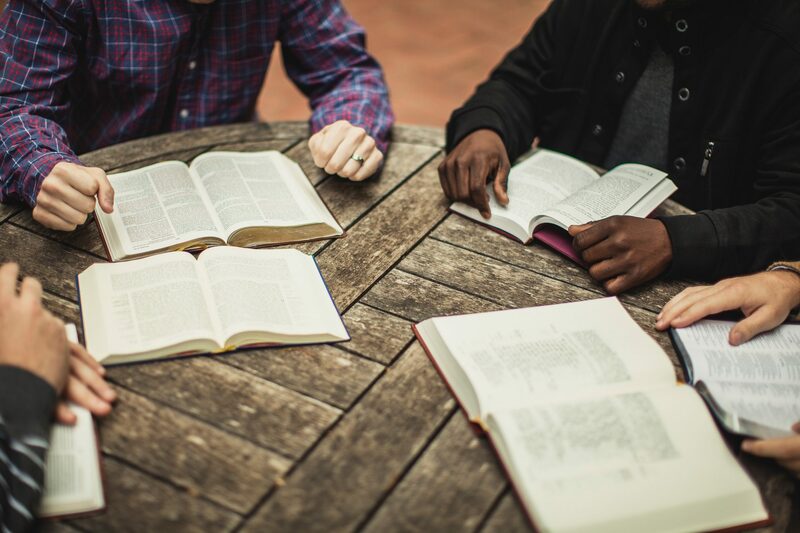 Don’t just take our word for it – study the New Testament for yourself. There is no instance in scripture of anyone being added to The Body of Christ without it. Baptism is a word that means immersion in water. For believers who understand that only the blood of Jesus can wash away sins, it is the seminal point where faith, a decision, and action come together to add someone to the Church. Our burial in water unites us with the death, burial and resurrection of Christ and declares that our sins have been forgiven and our new life has begun. The New Testament is filled with examples – here are a few: Matthew 3:16; 28:19-20; Romans 6:1-8; Ephesians 5:26; Titus 3:3-5; Acts 2:38; 8:38; 22:16; John 3:5; Galatians 3:26-27. If we are not careful, the totality of church life becomes one hour each week that is labeled as “worship,” when in fact worship is so much more. Worship is central to a relationship with God. Not only do we worship individually throughout the week one-on-one with God, but we also worship as a community of believers each Sunday. A continual worshipful mindset is one that will lead you to a completely new level in your walk with the Lord. Each Sunday is a chance when we can spend time together worshiping as a full community of believers. When we get together as a group, we are committed to using what is called acappella singing (voices only) and prayer to express praise in our worship. Each week we celebrate the Lord’s Supper to affirm our covenant relationship with God. We are also committed to using methods and worship formats that will glorify God and draw the hearts of the worshipers into the presence of God as well as encourage one another. We desire worship that is Christ-centered, community-building, and Spirit-led, engaging us in life-changing encounters with God. Worship refocuses our lives and drives all the ministries through which we endeavor to honor God and serve others. Read these passages: Acts 2:42-47; Ephesians 5:18-20; Colossians 3:15-17. “God has given us eternal life, and this life is in his Son. He who has the Son has life; he who does not have the Son of God does not have life.” (I John 5:11-12) People were created in the image of God to exist forever. We will live forever either separated from God by sin or eternally with God through his grace, forgiveness and salvation. Heaven and Hell are real and eternal. To be eternally separated from God is Hell. To be in God’s presence for eternity is Heaven. Knowing these realities, we desire to use every available resource to draw people to God and the blessing of eternal life. The Bible exists to draw you, and all of us, to God. Some passages you will want to read are: 2 Thessalonians 1:6-10; Revelation 20:11-21:5; Matthew 25:41-46; 1 John 2:25; 5:11-13; John 3:16; Romans 6:23; 2 Corinthians 4:17-5:l.